Holy Mary, Mystical Rose, you are the most beautiful flower created by God, in venerating you we praise God for his holiness and beauty. MARY is the most beautiful flower that ever was seen in the spiritual world. It is by the power of God’s grace that from this barren and desolate earth there have ever sprung up at all flowers of holiness and glory. And Mary is the Queen of them. She is the Queen of spiritual flowers; and therefore she is called the Rose, for the rose is fitly called of all flowers the most beautiful. But moreover, she is the Mystical, or hidden Rose; for mystical means hidden. How is she now “hidden” from us more than are other saints? What means this singular appellation, which we apply to her specially? The answer to this question introduces us to a third reason for believing in the reunion of her sacred body to her soul, and its assumption into heaven soon after her death, instead of its lingering in the grave until the General Resurrection at the last day. It is this:—if her body was not taken into heaven, where is it? how comes it that it is hidden from us? why do we not hear of her tomb as being here or there? why are not pilgrimages made to it? why are not relics producible of her, as of the saints in general? Is it not even a natural instinct which makes us reverent towards the places where our dead are buried? We bury our great men honourably. St. Peter speaks of the sepulchre of David as known in his day, though he had died many hundred years before. When our Lord’s body was taken down from the Cross, He was placed in an honourable tomb. Such too had been the honour already paid to St. John Baptist, his tomb being spoken of by St. Mark as generally known. Christians from the earliest times went from other countries to Jerusalem to see the holy places. And, when the time of persecution was over, they paid still more attention to the bodies of the Saints, as of St. Stephen, St. Mark, St. Barnabas, St. Peter, St. Paul, and other Apostles and Martyrs. These were transported to great cities, and portions of them sent to this place or that. Thus, from the first to this day it has been a great feature and characteristic of the Church to be most tender and reverent towards the bodies of the Saints. Now, if there was anyone who more than all would be preciously taken care of, it would be our Lady. Why then do we hear nothing of the Blessed Virgin’s body and its separate relics? Why is she thus the hidden Rose? Is it conceivable that they who had been so reverent and careful of the bodies of the Saints and Martyrs should neglect her—her who was the Queen of Martyrs and the Queen of Saints, who was the very Mother of our Lord? It is impossible. 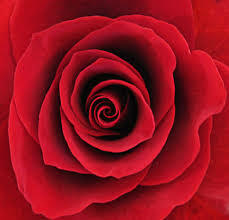 Why then is she thus the hidden Rose? Plainly because that sacred body is in heaven, not on earth. Fr. Juan, your message is poignantly clear and anointed and a powerful reminder of the most special and unique role Our Blessed Mother played and continues to play i our world and our faith. God bless you for your ever-powerful meditations. Lisa, these are Bl. John Henry Newman’s words but thank you for receiving them so well. As you suggested in an earlier note let us pray to the Virgin Mary for peace in Holy Land and also Syria. I join your prayer to our Blessed Mother, and to Blessed John Henry Newman, who carried out an important work in Ireland in the 1850’s.